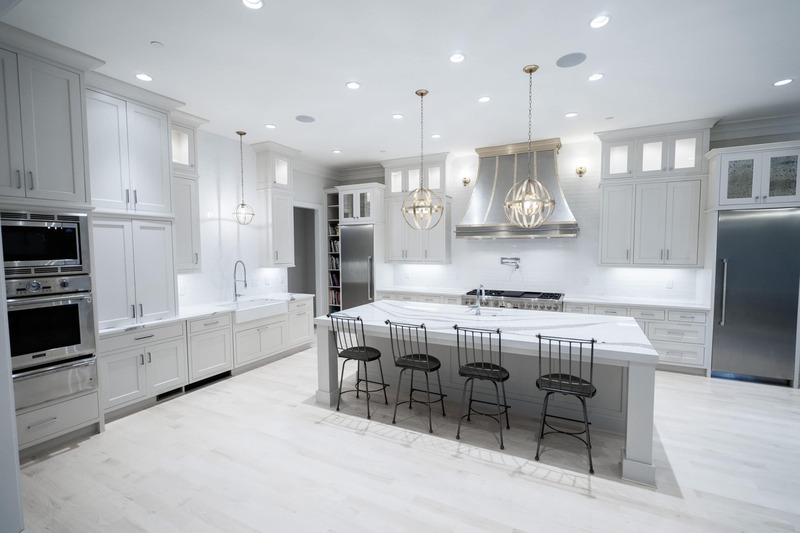 There are very few trends that stand the test of time with the change in calendars each year, and one of them is the inclusion of a white countertop in a modern kitchen. Just like the previous years, 2019 has also been sustaining the pattern and white stones are selling like hot cakes even in the new year. A trend that emerged post 2008, it has been around for more than a decade and has grabbed the attention of many experts, including architects and decorators. All this hype is not just a fad: the trend has been established on the premise of smart decision making and more urbane sensibilities. 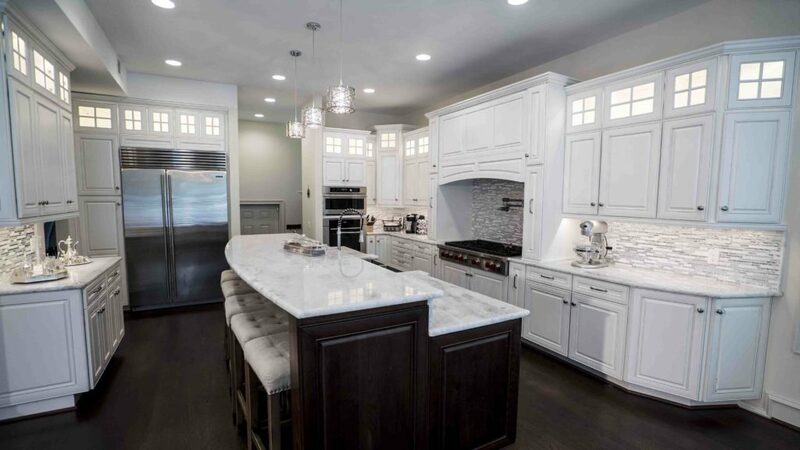 Why Should You Choose a White Countertop? The trend exists for good reasons. Smart homeowners who moved away from darker shades and earthy tones after 2008 realized one thing: remodels don’t happen every day. Good remodels should ideally include elements that never lose their charm and go with other palettes very well. As a countertop is one of the central elements in any kitchen or bathroom, it has to be vibrant without being flashy…and choosing white helps achieve that effect. You can pair it with any kind of flooring, wall paint, fixtures or accessories, and it just goes. Have some picturesque blue cobalt designs to display on your cabinetry? White works. Have rose-gold fixtures to put on your sink? White works. Have exotic beige stones for flooring? White works. There is objectively nothing that white doesn’t go with! There are times that we buy even the finest materials for our home renovation but they just bring forth a lot of unpleasant buyer’s remorse. We don’t want to wake up and find ourselves regretting after having spent a lot of time and energy on a remodel. Opting for a white countertop safeguards you from that as you can be certain that it will just work in every kitchen and every bathroom. In all cultures, white is regarded as a symbol of serenity and harmony. A lot of Eastern philosophies suggest that specific colors affect our moods in a certain way. White is said to exude an aura of calm and peaceful energies while making a home look more clean and fresh. Ever wondered why lavish hotels generally opt for white everywhere? It has a soothing effect on anyone using the facilities and helps their ratings. 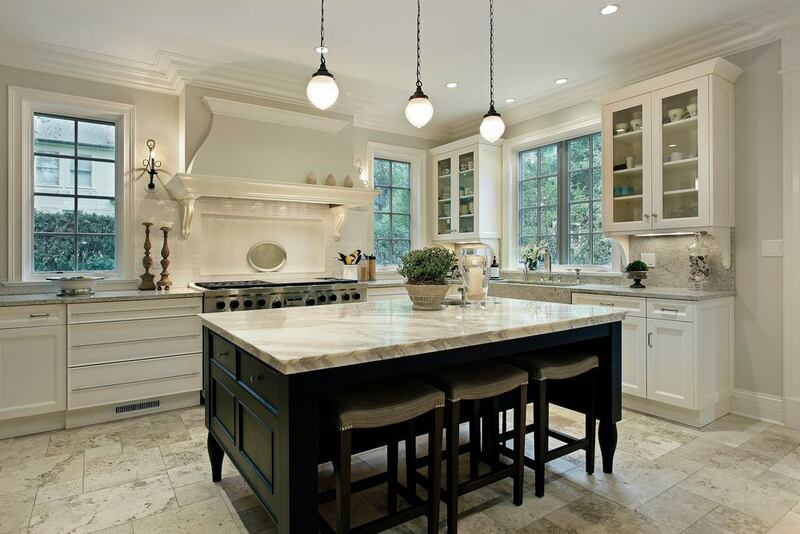 But the benefits don’t stop there: choosing a white countertop can also help to increase the resale value. Because it’s always in trend, it is highly marketable and makes room for a favourable price negotiation. Imagine that the new homeowner wants to scrap off your old cabinetry and install an olive green one. Can they pull it off with any countertop of any other color besides white? It’s highly unlikely. Because a white countertop gives room for personalization, it is preferred by those looking to buy a new house and that can be a huge advantage in the long run. What Should You Consider Before Buying a White Countertop? If you love the look of sparkling white countertops, there are plenty of choices to choose from in the market. But it’s important to make your decision smartly and to not only pick the right stone based on looks, but to also consider cost, maintenance effort and time required for installation. 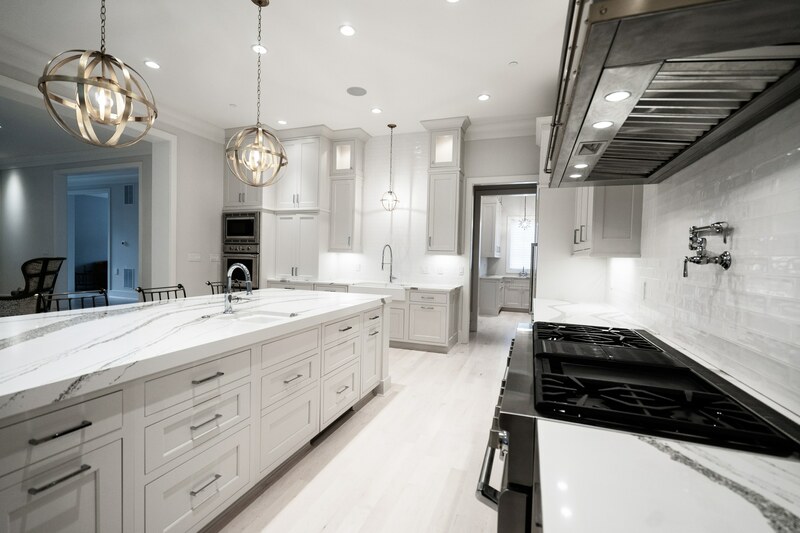 Every stone has its own benefits and cons and there are beautiful options on every end of the spectrum, from white quartz options that are cost effective, to durable granites, and even white natural marble slabs. Your decision should ultimately be based on your individual requirements. It is no surprise that white stones have found prominence in history and can be seen throughout the world in architectural wonders. This is not just because of their gracious looks, though. They are also abundant in nature and are loved by our beloved earth just as much as renovators. As a homeowner, this gives you multiple options to choose from, ranging from the evergreen marble to its sturdier counterpart quartzite. 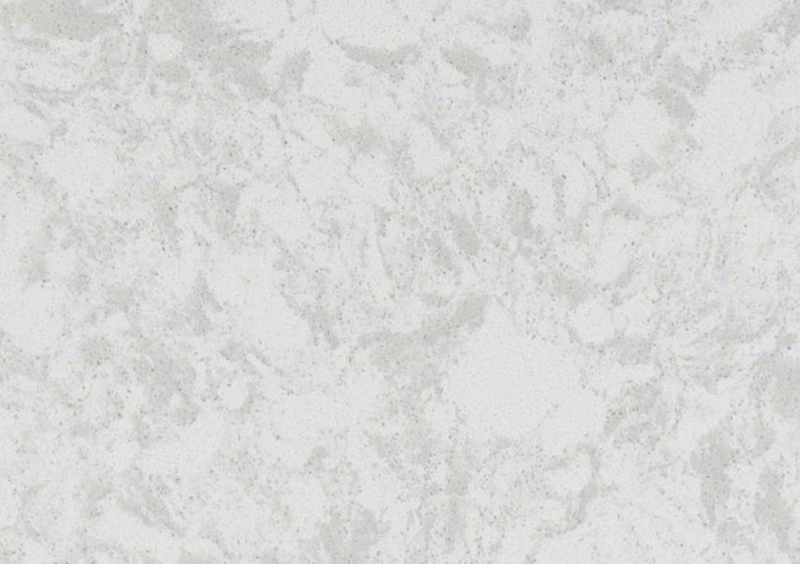 New in trend, however are engineered white stones like Quartz. They offer the durability of Granite with uniform patterns of veins that can’t possibly be found in natural stones. On the other hand, the unique pattern of veins in each natural stones doesn’t bother everyone, and in fact draws some homeowners to natural stones. Basically, no size fits all and you should go with something that catches your eye and fits your requirements. From Michelangelo’s David to Shah Jahan’s Taj Mahal, history is ridden with usage of this beauty in a lot of marvels. A popular choice for homeowners even today, it has a striking appearance and price ranges from mid to high. 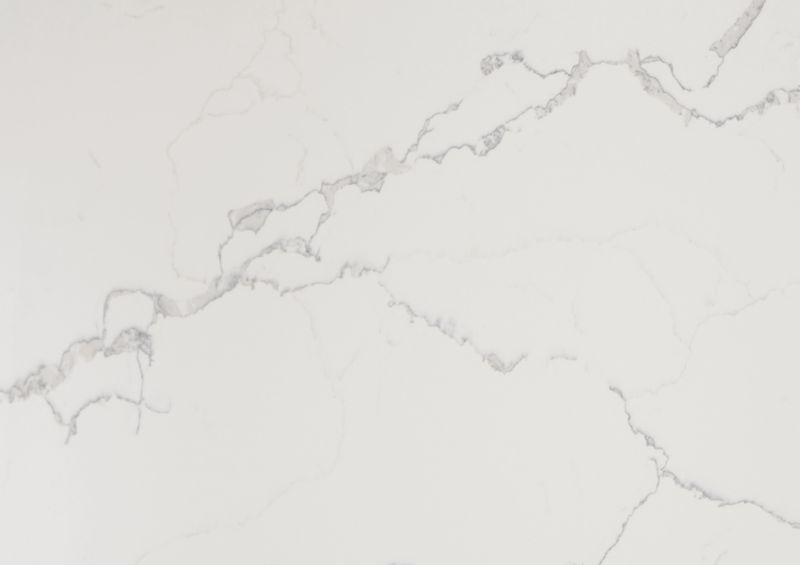 The price ultimately depends on the marble you choose: if your heart is set on an exotic marble like Calcatta, prices are going to be much higher than other options. The cut and the veining patterns matter too. Recommendations: Carrara, Statuario Venato, Calcatta Gold, Mystery White, Viscount White. What You Should Know Before You Buy: It is a beautiful stone and can generally resist a lot of brutal vegetable chopping and slicing on its surface. Although it is quite strong, it is not the most durable stone around. Sealing should be done, especially if it is used in bathrooms as it can be a little porous. Some cuts are delicate and maintenance might be required. Good sealants can greatly reduce concerns when paired with fine marbles, though. Prices are also generally reasonable. Thanks to Globalization, what was once a luxury has become commonplace. We are talking about the finest granites from the quarries of Brazil which are not only quite reasonable, but boast of stunning looks and unbeatable durability. 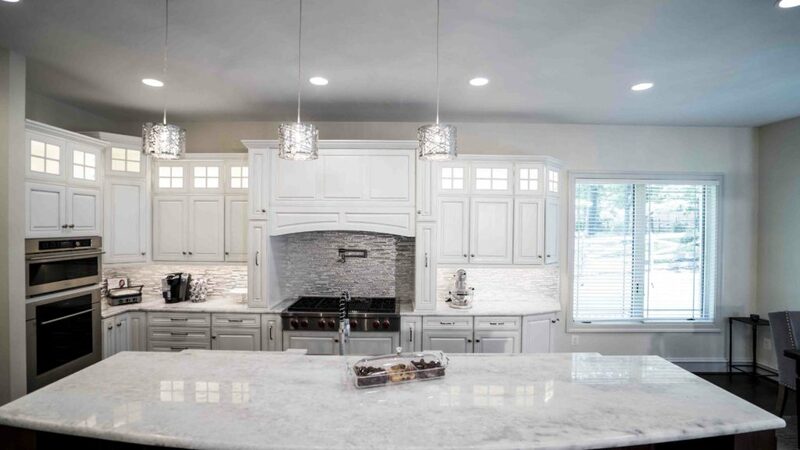 Whether it is straight-out-of-a-painting look of Ice Brown or the look of a natural landscape in Delicatus White, there is something for everyone when it comes to Granite. Recommendations: Ivory White, Delicatus White, Lucky White, Viscount White. What You Should Know Before You Buy: Granite is a very heat-resistant stone and can endure even the hardest traffic. Most are also resistant to scratches and wear and tear, although some slabs with intricate patterns may be prone to those more than the others. Sealing is required as for most natural stones, although some slabs might naturally be water-resistant. It’s a great buy for both kitchens and bathrooms due to its strength and ease of maintenance. Prices may be higher than other stones, though. Unlike its engineered counterpart Quartz, Quartzite is actually a naturally occurring sandstone available in shades like white and beige. It gets formed due to recrystallization of Quartz grains inside it. Aesthetic lovers like its rugged surface and often use it in creative ways in the bathroom. What You Should Know Before You Buy: Because it is a sandstone, it lacks strength that a stone like Granite would possess. On the other hand, no one can deny that it has a unique aesthetic to it and looks lovely in bathrooms. It does require significant amount of care, though. We do not recommend it for homes where countertops have heavy usage. Just like its texture and appearance, the techniques used for extraction of this exquisite limestone are very unique. It is in fact one of the rarest substances to be quarried around the world. In fact, the number of places where it is quarried are just a handful. Because the techniques used are so different around the world, no cut of Travertine looks like the other. Although that is true of any natural stone, Travertine takes it to the next level. Slightly pricier than marble, it is a challenging buy as complementing slabs may be hard to come by. What You Should Know Before You Buy: The price of this particular stone varies greatly based on the polish you choose. Because it is naturally duller than marble and granite, it goes well in homes looking to go au naturale. Homeowners can opt for a polished finish to brighten it up if that’s more to their liking. The best part about Travertine is that it is just as durable and heat-resistant as granite and is often easy to clean. It is however very porous and installation is not recommended without frequent sealing. Those wine stains may stick with its surface for good if a good quality sealant is absent. 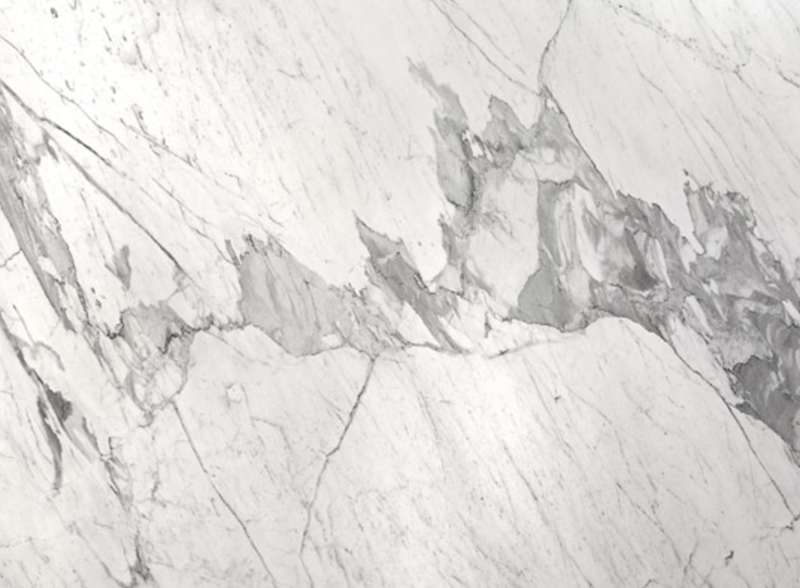 Engineered to match the level of exquisiteness of marble and combine it with the strength of Granite, Quartz is an excellent choice for way too many reasons. Minerals are mixed with other materials in a lab to add that extra durability that lasts for years. Because countertop purchases are not everyday occurrences, it combines the convenience of easy maintenance with all that jazz. Available in uniform patterns of veins and a variety of colors, it is a perfect choice for the artist in you. Because it is made synthetically, it can be customized in any finish and color as required. Variants are available in different sizes and thickness as well. Recommendations: Silestone’s Calacatta Gold, Blanca Statuarietto Quartz, Cashmere Oro Quartz, Fairy White Quartz, Carrara Grigio Quartz. 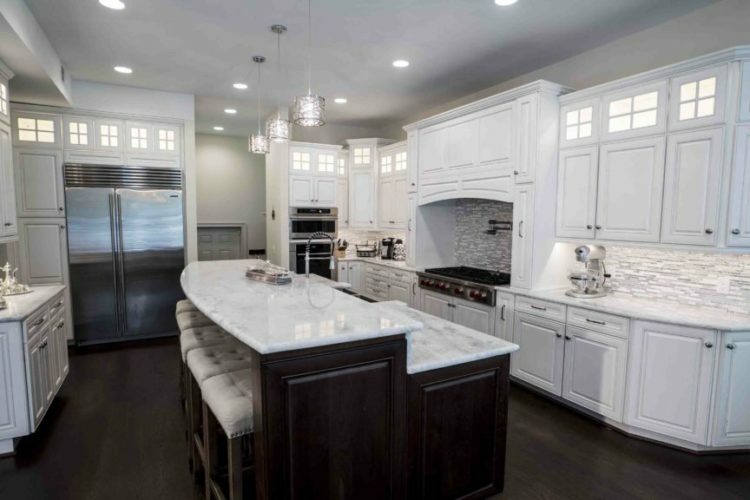 What You Should Know Before You Buy: Although perfect for urbane households in almost all regards (including affordability), this may not be the right choice for you if you are looking for the authentic feel of a natural stone. It was designed to meet convenience in a modern home and truly delivers. It is not really a stone but can be imitated to look like one. It uses acrylic to replicate the look of various natural stones and is known to be relatively durable. As it can replicate other materials, it offers a lot of options in terms of patterns and sizes. What You Should Know Before You Buy: As it is made from acrylic, it is prone to damage by heat and is not recommended for kitchen worktops. Although a pocket-friendly choice, it can be prone to scratches. On the list because of its reigning title of affordability, laminate is created using plywood or particleboard. Due to that, it comes in myriad patterns and colors which can even look like real stones. What You Should Know Before You Buy: It is very prone to heat damage and should be avoided in kitchens unless you want to spend every waking minute worrying about coasters. It can be a good choice for bathrooms in relatively dry areas. 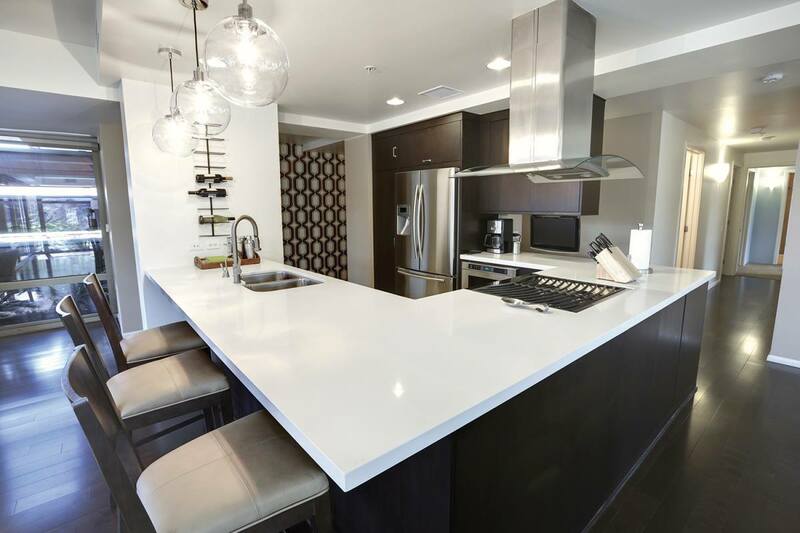 White countertops are the way to go in 2019 due to their aesthetic value and high marketability. We advise homeowners to choose the materials carefully as they would stick in their home for at least a few years. Factors like budget, heat-resistance, ease of maintenance and overall look should be considered while making the decision. And don’t forget to choose a reliable installer as bad fabrication can dampen the look of even the most exquisite material. Happy Remodeling! Talk to our experts at USA Marble and Granite now for all bathroom and kitchen countertop needs.